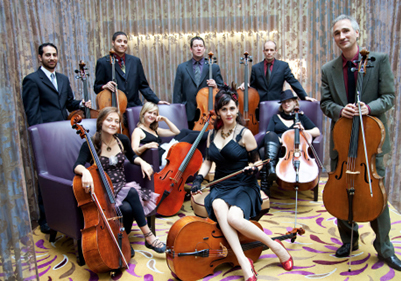 Since the group’s inception in late 2007, Portland Cello Project (or, PCP, as their fans affectionately call them), has wowed audiences all over the country with extravagant performances, mixing genres and blurring musical lines and perceptions wherever they go. On her fourth studio album, Jolie Holland embraces the live-studio rock approach of the 60’s and 70’s, and transforms it with her unmistakable touch. Loosely inspired by Neil Young’s Zuma, with nods to The Velvet Underground, the Stones, and Bowie, this playful dialogue gives way to Holland’s most grounded work. Some of the lyrics were written tipsy on a train, others out of a trance state—every one drawn from the seemingly bottomless well of her muse. From the electrified sidling ode of “Gold and Yellow,” through the outright violence of “Remember,” to “Rex’s Blues”—a devastating Townes Van Zandt rendition, Holland’s inspirations and evolving aesthetic ring bell-clear in every song. Her complete vision for this album is evident from the songs’ sound to the handwritten liner notes; even the record’s cover is a watercolor painted by the artist herself. In the third track she promises: “what I lost in a broken sphere/ I’ll find in a tender mirror/in the love from the heart.” Listeners will find their own lost parts in her voice, which captures the unnameable more succinctly than ever. She croons of the hardest kinds of love and most aching choices, along with the light and lovely. These ten songs are rich with moments to savor —evoking memories of moonlit fields, past lovers, and the childhood dream of summer. As always, her lyrics speak transparent and true as tender mirrors themselves. The mermaid adorning the album’s cover is an apt symbol for Holland’s work: a magical coupling of disparate tones. Pint of Blood is, as that old book says, as wise as serpents and as innocent as doves.